Marinduque is dubbed as the Heart of the Philippines. Situated between Tayabas Bay to the North and Sibuyan Sea to the South this province with a shape of a heart is also a religious center in the Philippines. In this province, they celebrate the Moriones Festival during Holy Week to commemorate the suffering of Jesus Christ. But Marinduque is not just know for that. 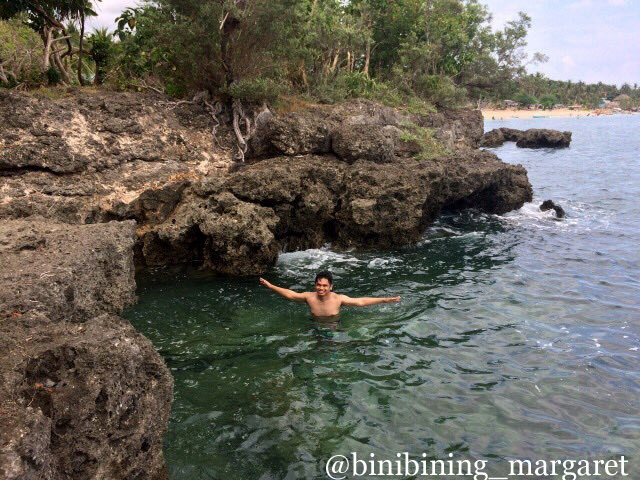 Marinduque is home to many beaches that is totally world class and far relaxing than those within 4 hours away from Manila. One of them is Poctoy White Beach in Torrijos Town, and an hour away from Sta. Cruz. Poctoy Beach has a white sand comparable to Calaguas and Boracay – it’s one of the best in the Marinduque if not in the Philippines. The one kilometer long fine white sand with Its clear water will surely allure guest from all over the world. 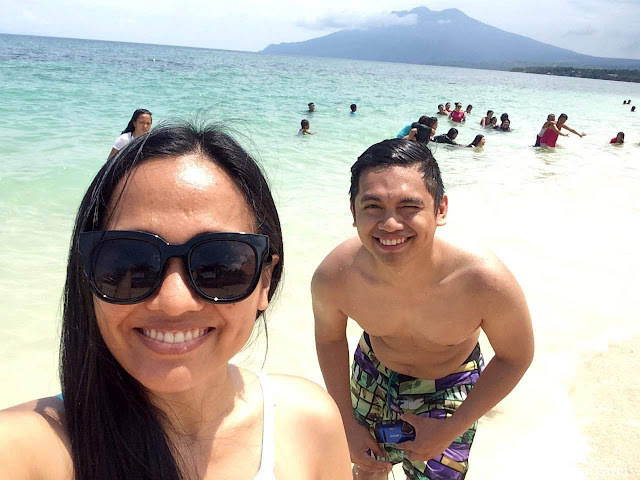 Me and my girlfriend Lana went to Poctoy White Beach not just for the usual weekend or long weekend – thanks to Philippine Holiday – but to celebrate our 3rd anniversary. Why not? Three years ago, we traveled North going to Palaui Island for several hours too to say yes to forever. We wanted Poctoy White Beach because I know that most folks will be heading to Maniwaya Island in Sta. Cruz. You would want peace and relaxation in your 3rd anniversary, right? When we reached Poctoy White Beach on our DIY mode, we quickly searched for accommodation along the beach because we were excited to dip in the turquoise blue water of the beach. After some rejection because by the way Poctoy White Beach was also crowded, we were finally accepted by Rendezvous Beach Resort for a night that cost us Php1400. It’s supposed to be Php2000 per night but because of my charm and haggling skills, we saved Php600. 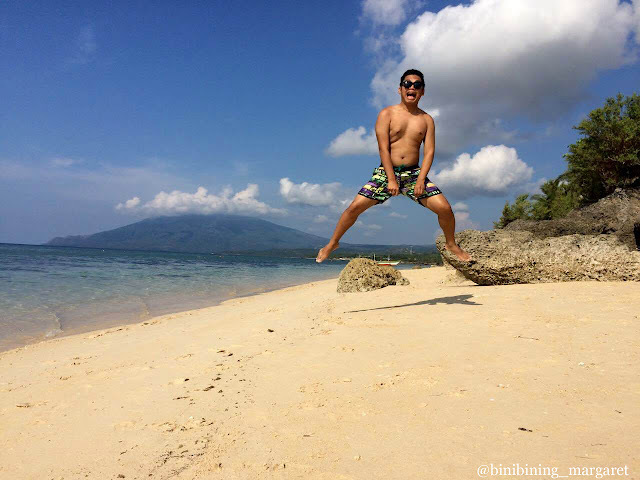 Poctoy White Beach is more charming because of its mighty backdrop – Mt. Malindig. There were a lot of people when we arrived in Poctoy White Beach because it was a long weekend. What I noticed though was that most folks there were local. Many pitch their tent or just their beach umbrella. At night people were gone and so in the morning. On both ends of the beach are rock formations worthy of a shot and a selfie. We went to the both ends of the beach and we found it amazing. I was looking for a spot where I could jump from a cliff but I found the water too shallow for a daredevil jump. 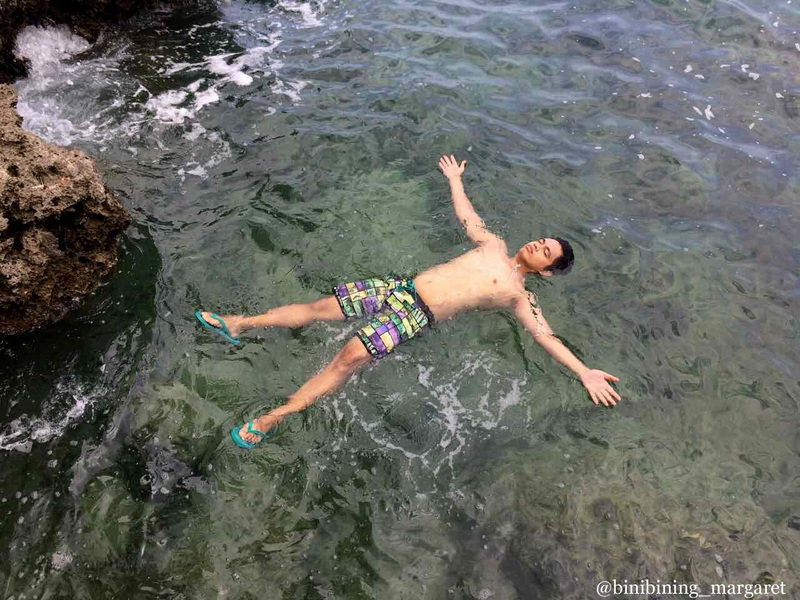 I like the waves during the afternoon because it’s perfect for playing and I like the strong touch of the water on my body. In the morning, the beach is like a lake where in the water almost not moving. The view is also and picturesque view too. 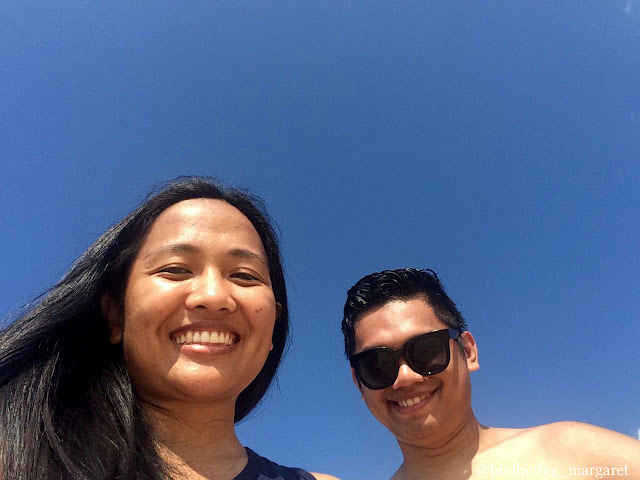 Although it will require too much effort and time to go to Poctoy White Beach from Manila, for me it’s worth the pain because we were able to relax and enjoy our 3rd anniversary together. It is the beauty of exploring the unexplored that makes me human rather than going to places with too much crowd wherein I battle for space and privacy. Take a bus going to Dalahican Port in Lucena City, Quezon. Fare is Php230 from Kamias, Quezon City. Alternatively, take a bus going to Lucena Grand Terminal. From the terminal take a tricycle or jeep going to Dalahican Port. I highly suggest that you take the Bus straight to Dalahican Port. From Balanacan Port take Jeep or Van bound to Sta. Cruz. Fare is Php80.00 for the Van and around Php50.00 for the jeep. From Sta. Cruz, take jeep bound to Torrojos. Tell the driver to drop you at Poctoy White Beach. Fare is Php40.00 each. We stayed at Rendezvous Beach Resort when we were in Poctoy White Beach. Rooms would cost Php1500 during low season and Php2000 during high season. Each room can accommodate up to 4 persons and goes with private bathroom and air-conditioning unit. You can pitch a tent on the shore if you wish too. There are food stalls and restaurants in Poctoy but be prepared to pay the Manila price. You can pitch your tent on the farther south of the shore where less crowd gather. There are trees there where you can hide from the heat of the sun. Jeepneys from Torrijos going back to Sta. Cruz is inly up to 1PM. After the last jeep, you will only rely to jeepneys from Sta. Cruz doing round trip in Torrijos back. Your travel time from Manila to Poctoy White Beach is approximately 10hours via commute or DIY. It will all depend on the timing of your arrival because buses, roro, jeep and even UV tends to maximize the capacity of the vehicle and/or they have affix schedule of departure.